Super Ciccio Matte Black (Eye) Need Help? Thick and chunky the Ciccio is an old school wayfarer. 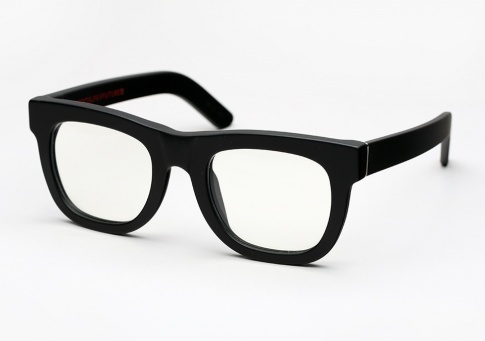 It has a more traditional 1950's/60's throwback wayfarer style than the Super Basic shape. It is offered here in Matte Black. All Super eyeglasses are limited releases so get them while they last!